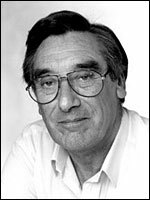 As one of the astute young writers who learnt their craft in the golden days of the British television writer (the 1960s), Jack Rosenthal was an inventive and prolific dramatist who often drew on his own northern, working-class Jewish roots to lend an air of authenticity to his drama. The younger of two brothers born into a Jewish family, he was evacuated with his brother to endure a miserable stay in Blackpool early in the Second World War. After his family moved to Colne, Lancashire, he attended the local grammar school before reading English Literature at Sheffield University . Following National Service in the Royal Navy, in 1955 he joined the fledgling ITV company Granada Television , where after a spell in the promotions department he left to work in advertising. When, after watching some episodes of Granada 's new twice-weekly drama series Coronation Street in 1960, he asked the series' creator and head writer Tony Warren if he could try his hand at writing an episode. It signalled the beginning of an exciting career in television. The episode (tx. 27/3/1961) became the first of some 129 he wrote for the series during the 1960s. In between Coronation Street assignments, he contributed to the revolutionary satire That Was the Week That Was (BBC, 1962-63), the little-man-muddling-through sitcom The Bulldog Breed (ITV, 1962), and the Sid James cockney cabbie series Taxi! (BBC, 1963). In 1965, Rosenthal joined fellow Granada writers Harry Driver and Vince Powell on the unlikely Coronation Street spin-off Pardon the Expression (ITV, 1965-66), a Whitehall farce-like showcase for Arthur Lowe as his fusspot Mr. Swindley character. Following another stint with Coronation Street in 1967, he took time out to write 'There's a Hole in Your Dustbin, Delilah' (ITV, tx. 30/9/1968), a comedy featuring a ragtag bunch of refuse collectors for Granada 's Playhouse collection. The play led to two series of the popular sitcom The Dustbinmen (ITV, 1969-70), also produced by Rosenthal . Another well-received comedy series, The Lovers (ITV, 1970-71), followed. Starring the skilful young Paula Wilcox and Richard Beckinsale , this rather naïve battle-of-the-sexes sitcom soon hardened into the standard Granada comedy style of the period. A run of remarkable Rosenthal plays followed during the 1970s, dealing with individuals trying to maintain a sense of order and balance in an increasingly unsteady emotional and physical environment: the harassed referee in the Sunday morning soccer league play Another Sunday and Sweet F.A. (ITV, tx. 9/1/1972) obsessed with playing by the rules for both football and life; the two young boys foster-homed in another town with a middle-aged childless couple at the outset of the Second World War in The Evacuees (BBC, tx. 5/3/1975); the 13-year-old Jewish boy, on the religious and social occasion on which he officially becomes a man in Bar Mitzvah Boy (BBC, tx. 14/9/1976), who runs away amid the family turmoil of preparations for the event. On a much lighter note, but still focusing on the distress of an individual, Rosenthal's 'Ready When You Are, Mr. McGill' (tx. 11/1/1976) led off Granada's Sunday evening drama collection Red Letter Day (ITV, 1976). As a crafty, sideways look at the television industry, it was a superb, satirical play about a TV crew on location on the day that Mr. McGill, a northern film extra (played by comedian Joe Black ), gets his first speaking part. Nothing goes right. By the 13th take, Mr. McGill is on the verge of a breakdown. The loneliness and despair of the individual caught up in circumstances beyond their grasp was brought to the fore in Rosenthal 's screenplay of the tragic life of 1961 pools winner Vivian Nicholson , Spend, Spend, Spend (BBC, tx. 15/3/1977). The painfully honest portrait of two rough-hewn people (Vivian and her husband) wistfully out of their depth revealed a strand of human nature that secretly begrudges others' good fortune. The Knowledge (ITV, tx. 27/12/1979) brought a humorous, less cynical view of life to the story of a group of trainee cab drivers learning the 'knowledge' of London (the accumulation of street names and buildings that cabbies must commit to memory before they can qualify). By this time, Rosenthal had also written his third comedy series, the domestic sitcom Sadie, It's Cold Outside (ITV, 1975) starring Rosemary Leach and Bernard Hepton as a middle-aged married couple stuck in a humdrum, middle-class, semi-detached suburban rut with nothing to live for but their television. As script editor for Channel Four 's series of films for television, First Love (1982-86), his exploration of adolescent love, P'Tang, Yang, Kipperbang (tx. 3/11/1982), launched the impressive series on the new channel's second evening of broadcasting. To commemorate the 50th anniversary of the first television broadcast, Rosenthal wrote the amusing account of The Fools on the Hill (BBC, tx. 27/10/1986), a look back at the early days of BBC Television at Alexandra Palace during the experimental 1930s. In that same year, LWT produced his London's Burning (ITV, tx. 7/12/1986), a single drama set in an inner London fire station. The TV film inspired the long-running spin-off series (ITV, 1988-2002) but Rosenthal had no active part in it (although it probably provided him with a nice little earner). Perhaps his most interesting work during the 1990s was the comedy-drama series Moving Story (ITV, 1994-95) and the single play Eskimo Day (BBC, tx. 5/4/1996). The former was a workplace-centred ensemble piece (like London's Burning ) about a group of removal men, developed from characters in his 1984 feature The Chain (d. Jack Gold). Eskimo Day follows nervous would-be Cambridge students, and their even more anxious parents, to the university interviews. The play was based on Rosenthal 's own experiences as a concerned father. There was an equally strong sequel, Cold Enough for Snow (BBC, tx. 31/12/1997), focusing on two families, a northern couple and a more well-to-do southern couple, whose children were boyfriend and girlfriend and who were leaving home for university. Rosenthal 's cinema screenplays include Yentl (US, 1983), which he co-wrote with star Barbra Streisand (who also directed), about a young Eastern European woman who, in order to study holy scripture (restricted to men in orthodox Jewish culture), disguises herself as a boy; the adventure comedy Captain Jack (d. Robert Young, 1998), starring Bob Hoskins as a rebellious sea captain, and the hugely successful Aardman animation feature Chicken Run (d. Peter Lord/Nick Park, 2000) for which he co-wrote the screenplay, uncredited. His last work to appear on the small screen (having been held up for two years) was a TV film adaptation of Kingsley Amis 's Lucky Jim (ITV, tx. 11/4/2003) starring Stephen Tompkinson as Jim Dixon in a fresh, updated version of the 1950s social comedy. Rosenthal married actress Maureen Lipman in 1973. The couple had met in the late 1960s while Lipman was appearing in local theatre in Manchester and he was still writing for Coronation Street . Awards include: Writer's Guild Best Series ( The Lovers , 1971), TV Critics' Circle Best Play ( Another Sunday and Sweet F.A. , 1971), BAFTA and International Emmy ( The Evacuees , 1975), BAFTA, Broadcasting Press Guild Best Play and International Emmy ( Bar Mitzvah Boy , 1976), BAFTA and Royal Television Society 's Writer's award ( Spend, Spend, Spend , 1977), Golden Globe ( Yentl , 1984). He was awarded a CBE in 1994 for services to drama.